Las Vegas Shooting, Climate Change? 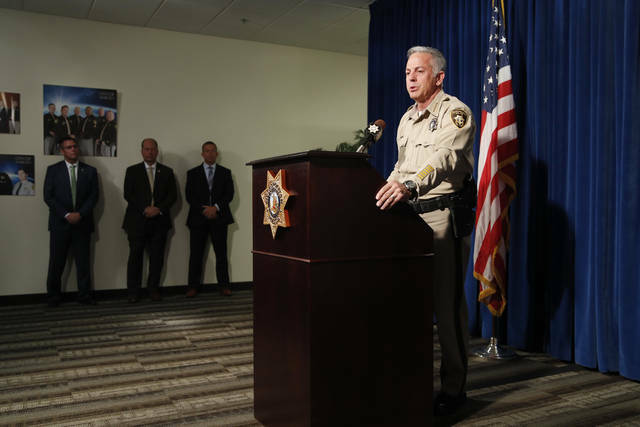 With those revelations, police announced they were closing their 10-month investigation without a definitive answer for why Paddock, a high-stakes gambler, amassed an arsenal of weapons and carried out the deadliest mass shooting in modern U.S. history. Paddock left no manifesto or “even a note to answer questions” about his motive for a rampage that killed 58 people and injured more than 800 others, Lombardo told reporters. “The FBI’s assessment may shed a better light on Paddock’s personality and what motivated him, but I don’t know if they can provide a motive,” said police Sgt. Jerry MacDonald, a key investigator in the case. One of Paddock’s brothers told investigators that he believed the gunman had a “mental illness and was paranoid and delusional.” A doctor believed he may have had bipolar disorder, the report said. In its final report released Friday, the Las Vegas Metropolitan Police Department found Paddock acted alone and no one else will be charged, said Lombardo, the elected head of the police department. Earlier this year, U.S. prosecutors charged an Arizona man accused of selling illegal armor-piercing bullets found in Paddock’s room at the Mandalay Bay hotel-casino. Douglas Haig has pleaded not guilty and maintains he sold tracer ammunition, which illuminate a bullet’s path. The report included a summary of 14 of Paddock’s bank accounts, which contained a total of $2.1 million in September 2015. Two years later, the amount had dropped to $530,000. He “wasn’t as successful in the gambling as he was in the previous years,” Lombardo said. Investigators said Paddock paid more than $600,000 to casinos and over $170,000 to credit card companies. The analysis said he also made nearly $95,000 in firearms-related purchases. The report gave no other information about the casino purchases. High-rollers like Paddock are often given credit lines at casinos. Paddock bought more than three dozen guns between 2016 and 2017. Danley told investigators that she noticed he was buying large amounts of ammunition, but he dismissed her concerns by saying it was cheaper to buy in bulk, according to the report. She told police that she accompanied Paddock to gun stores and gun shows and helped him set up a gun range in Nevada. Danley told authorities he tended to be obsessive when he dove into a new hobby, and she considered the behavior part of that same pattern, said Detective Trever Alsup, the lead investigator in the case. Paddock’s mother, Irene Hudson, told investigators she did not understand why her son would carry out an attack and believed he “must have developed some type of ‘brain tumor,’” the report said. An autopsy did not find anything unusual with Paddock’s physical condition, even after a microscopic brain examination by experts at Stanford University. A brother, Eric Paddock, described his sibling as a “narcissist” who only cared about people he could benefit from. Survivor Megan O’Donnell Clements, who attended the music festival with three friends, said she had come to accept that a motive would likely never be found but “to see it written out and finalized” in the police report was gut-wrenching. The final details of the investigation came after police released 13 batches of investigative documents, 911 calls, police reports, witness statements and video over the last three months. They have illustrated chaos, heartbreak and heroism from first responders, concertgoers and family members. 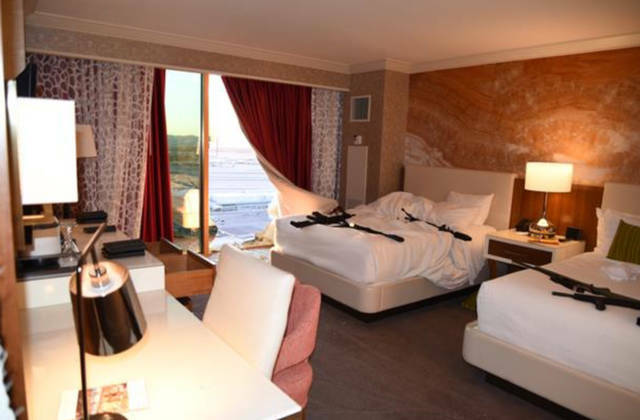 Police body camera recordings earlier made public showed officers using explosives to blast through the door of a 32nd-floor hotel suite to find Paddock dead on the floor from a self-inflicted gunshot. There were 23 assault-style weapons, including 14 fitted with rapid-fire “bump stock” devices, strewn about the room and a revolver near Paddock’s body. Authorities concluded that Paddock fired for 11 minutes, using multiple weapons outfitted with target scopes and bump stocks. Eight incendiary rounds were directed at an aviation fuel tank at the nearby airport. Two hit the tank, but it did not explode. Officers found several laptops, including at least one that was missing a hard drive, the report said. Eric Paddock told investigators that he believed his brother had cheated on the family’s tax preparation. Eric was worried he might be implicated for tax evasion if evidence was collected from his brother’s hard drives, the report said. Friday’s report further detailed Paddock’s meticulously planning, including researching SWAT tactics, renting other hotel rooms overlooking outdoor concerts and investigating potential targets in at least four cities. 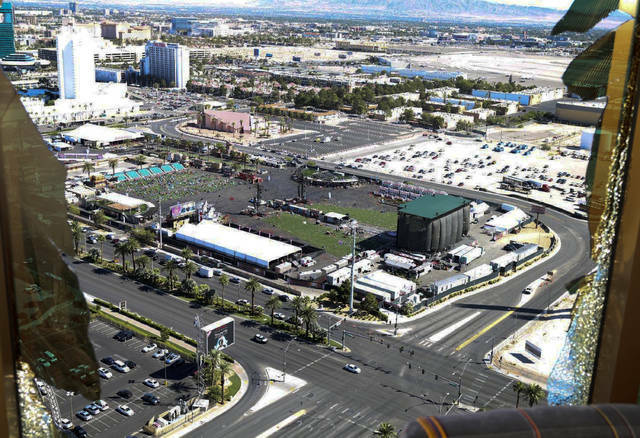 The police department is conducting internal reviews into individual officers’ actions, including one veteran officer who froze in a hallway a floor below where Paddock was firing onto the crowd of 22,000 country music fans. Another officer accidentally fired a rifle during a blast to breach a locked door in Paddock’s room. Police said no one was injured and the shot did not hit Paddock. Balsamo reported from Washington. Associated Press writer Regina Garcia Cano in Las Vegas contributed to this report. OLYMPIA, Wash. – Aug. 3, 2018 – Today, the Washington Department of Revenue announced it will require some out-of-state retailers to begin collecting sales tax by Oct. 1. This is a result of the U.S. Supreme Court’s June 21 decision in the South Dakota v. Wayfair case. The Wayfair decision allows states to require out-of-state businesses without a physical presence to collect and submit the tax on sales delivered into their state. Washington has established a threshold of $100,000 in gross retail sales or 200 transactions to Washington consumers in the current or previous year. Any out-of-state business that does not have physical presence in Washington, but meets either of these thresholds, will be required to register and begin collecting Washington sales tax. Out-of-state businesses that have annual retail sales between $10,000 and $100,000, and have less than 200 transactions into Washington, must still comply with the state’s current Marketplace Fairness law. The Marketplace Fairness law has been in effect since Jan. 1 and requires out-of-state businesses without a physical presence to make a choice to either collect sales tax or follow use tax notification and reporting requirements. Washington businesses that make sales into other states should be aware that they may now be required to register and collect sales tax in those states for items shipped outside Washington. Check mtc.gov or streamlinedsalestax.org for information about tax collection and registration requirements in other states. Businesses can go through Streamlined Sales Tax’s central registration system to register in all 24-member states (including Washington) simultaneously. There are also Certified Service Providers available to assist with the tax collection and filing process. If a business has concerns about complying with the Oct. 1 deadline, they can contact DORMarketplaceFairnessWaiverRequest@dor.wa.gov. Until a dry spell in the weather pattern occurs or the water can be safely released, dam failure will continue to be a threat, although water levels have dropped as of Friday morning. AccuWeather Global Weather Center – August 3, 2018 – The situation at the College Lake Dam, located in Lynchburg, Virginia, has stabilized for the time being, officials said shortly before 1 p.m. Friday. However, the potential for renewed heavy rain on Friday is prompting concerns for more flooding. “Officials have reported that flooding over Lakeside Drive has ended and that water is holding within the shores of College Lake,” according to a statement from the National Weather Service. Late Thursday into Friday, water was overflowing the top of the dam and officials said it on was the brink of failure due to recently heavy rainfall. If the dam fails, portions of Lynchburg could flood within minutes. Lynchburg is located at the foot of the Blue Ridge Mountains, about 50 miles east of Roanoke. “Lynchburg received 1.35 inches of rain on Thursday and 1.64 inches so far this month,” AccuWeather Meteorologist Brett Rathbun said. Anyone living in low-lying areas near the dam should seek higher ground immediately, even if official evacuations are not ordered. The Lynchburg Sheriff’s Office has opened an area auditorium for evacuees, including pets. A flash flood watch will remain in effect until Friday evening, according to the NWS office in Blacksburg, Virginia. More than 1.5 billion people worldwide rely on AccuWeather to help them plan their lives, protect their businesses, and get more from their day. AccuWeather provides hourly and Minute by Minute™ forecasts with Superior Accuracy™ with customized content and engaging video presentations available on smartphones, tablets, free wired and mobile Internet sites, connected TVs, and Internet appliances, as well as via radio, television, and newspapers. Established in 1962 by Founder, President, and Chairman Dr. Joel N. Myers—a Fellow of the American Meteorological Society who was recognized as one of the top entrepreneurs in American history by Entrepreneur Magazine’s Encyclopedia of Entrepreneurs—AccuWeather also delivers a wide range of highly customized enterprise solutions to media, business, government, and institutions, as well as news, weather content, and video for more than 180,000 third-party websites. Download the AccuWeather app today and follow AccuWeather on Facebook and Twitter for the most up-to-date forecasts and warnings, news and information surrounding breaking and spring weather. Visit www.AccuWeather.com for additional information. Luis Hestres worked as an online organizer at various nonprofits, including the 1Sky climate campaign, which merged with 350.org. Their overarching aim is to prevent as much new fossil fuel infrastructure as possible from being built and shutting down as many operations as possible. It’s all part of a “keep it in the ground” strategy with “it” referencing fossil fuels. This wide-ranging attempt to block oil, gas and coal infrastructure emerged after the American political system tried and failed to deal with climate change. Although the government has enacted some climate-related legislation, including measures that help fund renewable energy and energy efficiency, Congress has never produced a comprehensive law to deal with climate change. The highest-profile failure came in 2009 and 2010, when the House of Representatives passed the American Clean Energy and Security Act but the Senate failed to take it up. Climate change activist leaders, including the Environmental Defense Fund, the Natural Resources Defense Council and other organizations, poured money and time into passing this bill – with nothing to show for it in the end. Many of this movement’s rank-and-file members reached two main conclusions regarding this failure. Real climate action, they decided, would require a broad-based, grassroots social movement. And the oil, gas and coal industries’ influence over the nation’s political system, through financial donations to politicians and other activities, was to blame for the lack of climate action in the U.S.
As one movement strategist at a prominent climate advocacy organization told me, a large number of climate activists at that point became determined to bring about what they called the managed decline of the fossil fuel industries. They are trying to expedite the demise of the oil, gas and coal businesses through a death-by-a-thousand-cuts approach that includes several strategies. One is getting investors, including university endowments and public sector pension funds, to stop investing in fossil fuel stocks and other assets. When I researched this divestment movement with journalism professor Jill Hopke, we found that activists were trying to chip away at the moral legitimacy of the oil, gas and coal industries. Another is fighting new fossil fuel infrastructure through civil disobedience and litigation. One of the most high-profile examples of the keep it in the ground fight to date was the prolonged fight against the Keystone XL pipeline’s construction. A months-long protest attracted thousands of activists, many of whom were arrested by the authorities. Throughout that battle activists successfully shifted the political terrain. They successfully transferred responsibility for the decision of whether or not to build the pipeline to President Barack Obama, rather than the State Department. They also reframed the focus of the pipeline debate from jobs and energy independence to its potential to damage the environment and stoke climate emissions. Soon after, a wave of protests on the Standing Rock Indian Reservation in North Dakota, raised the same issues – as well as concerns over the violations of indigenous rights. In both cases, online activism combined with traditional offline tactics like civil disobedience and rallies. With the Keystone XL pipeline, activists pressured Obama into rejecting the project in November 2015. Although President Donald Trump subsequently approved it in March 2017, the pipeline is not yet functioning and faces additional hurdles. The keep it in the ground movement has gained a new sense of urgency during the Trump administration. When Obama was in office, climate activists could count on the White House to share some of their goals, such as the Clean Power Plan – a regulation to reduce carbon pollution from power plants and factories. Trump intends to repeal the Clean Power Plan, has announced his intention to pull the U.S. out of the Paris climate change agreement, and has made encouraging fossil fuel production a cornerstone of his energy policy. Because of this new political climate, activists have concentrated harder than ever on local actions, such as fighting pipelines and other infrastructure projects, wherever they believe they can make a difference during the Trump years. This stands in contrast to their strategy of only a few years ago that focused at least to some degree on influencing national policies. Activists in Lebanon, Pennsylvania, have been staging weekly protests against fracking and natural gas pipelines. In Portland, Oregon, anti-pipeline activists protested the banks that are financing the proposed Pacific Connector Pipeline and the Jordan Cove liquefied natural gas export terminal at Coos Bay. Protesters in Santa Barbara, California, are vigorously opposing an application by Exxon Mobil to restart offshore oil production along the Gaviota Coast for the first time since the Refugio oil spill in 2015. Depending on what becomes of Trump’s political career, this strategy may remain in place for years to come. Energy efficiency creates more jobs than fossil fuels — and at a faster rate and lower cost. We’ve all heard claims that fossil fuels such as coal, oil, and gas are major job creators. President Trump says so all the time. But it turns out that developing and installing the technology to reduce fossil fuel use — known in the industry as “energy efficiency” — creates many more jobs than fossil fuels. Energy efficiency jobs in the United States totaled 2.18 million in 2016, more than double the total of fossil fuel production and fossil-fuel based electricity generation combined. They’re growing at a much faster rate, too. From 2015 to 2016, there was 53 percent employment growth in advanced and recycled building materials, and 59 percent employment growth in Energy Star appliances. Compare that to just 9 percent growth in fossil fuel-based electricity generation. These energy efficiency jobs are much cheaper to create. According to an academic study, every $1 million invested in energy efficiency creates 12 jobs, compared to just 4 or 5 for fossil fuel jobs. These jobs are more likely to be unionized, too. And they’re a great way to lift up people who’ve been left out of the fossil fuel economy. So it’s no wonder that many states are working to grow their share of efficiency jobs, especially for traditionally excluded populations such as people of color and low-income people. I looked at a bunch of inspiring examples in a new report for the Institute for Policy Studies that will be out this week. For example, Illinois has passed legislation requiring larger utilities to create renewable energy and energy efficiency job training programs, especially for people from economically disadvantaged communities — including youth of color, formerly incarcerated people, individuals who’ve been in the foster care system as children, and others. Oregon is another success story. Forty-seven percent of new jobs created through Oregon’s statewide residential energy efficiency program — and 55 percent of the hours worked — went to women and people of color. Median hourly wages for these jobs were 7 percent higher than the median hourly wage of $17.24 for all Oregon workers, and 81 percent of workers had health benefits. These successes didn’t happen by themselves — they were the product of setting goals and making serious efforts to meet them. So energy efficiency creates more jobs than fossil fuels — and at a faster rate and a lower cost. They’re good jobs, with good wages and above-average rates of unionization. And states have taken concrete measures to make these jobs accessible to everyone and raise standards for energy efficiency workers. Why, then, does the federal government lag behind? And worse still, why does it pursue fantasies such as bringing back coal? Sadly, the answer is bribes, bribes, bribes. Fossil fuel interests pour money into congressional and presidential campaigns, and politicians return the favor by doing their bidding. The Trump administration’s push for coal is driven by two billionaire coal oligarchs, Robert Murray and Joseph Craft. Both have pumped money into Trump’s campaign and openly advocate for deregulating fossil fuels and bailing out coal. If the federal government really cared about “jobs, jobs, jobs,” they would follow the lead of Illinois and Oregon and make a big push to subsidize energy efficiency — instead of bailing out coal. Lots of big stuff is at stake as the climate changes. But so are everyday pleasures we take for granted — like hikes in the woods, days on the beach, and lazy summer days. By the time you’re my age, the year will be 2051. I don’t know what the planet will look like. And that scares me. Today, it’s obvious that nature is changing too fast, too much. Of course, nature’s not the culprit. We are. Humans. Your parents, your grandparents, and so many generations who came before us. We’ve been selfish and careless. We’ve forgotten to think about the future. We’ve screwed up the environment with our plastic water bottles and our massive landfills, and most of all, our fossil fuels. If we don’t make real changes, and soon, our Earth in 2051 may look very different from our Earth in 2018. I have to fight for your future. There’s no other reasonable choice, for me or any adult. What am I fighting for? I want you to share these four moments with your own kids, in 2051. 1. Hikes in the woods, among the trees and the bluebells, deer peeking out at you through the brush, birdsong floating all around us. I want you and your kids to love to explore the woods. Climate change causes droughts and forest fires. It threatens our whole ecosystem in countless ways, endangering too many species, particularly bees and butterflies and other pollinators (which are vital to our eco-system). I will fight for your future forests. 2. Fun at the beach. The beach is my favorite thing in the world, other than you and your dad. I’m in awe of the vastness of the ocean. As I dig my toes into the sand, I feel connected to the Earth. Like I belong. I want you to have those long, lazy summer days at the beach, swimming and body surfing, stretching out on a towel to read a book, and building sandcastle after sandcastle. But climate change threatens beaches, with tides rising and coastlines eroding, whole cities disappearing. I will fight for your future beach days. 3. Snow. I remember taking you out in the snow for the first time. It was magical. I want you to experience that same magic with your children. But as temperatures soar, winters in many parts of the world will be under siege. Winter freezes could shrink or disappear. I will fight for your future snowball fights. 4. Lazy summer days. I want you to love summer as much as I do. It’s my favorite season. I love to lie outside in the sun, to feel the sunlight soaking into my skin. I love that warmth. Summer is your favorite too. You say, “I like it hot.” But if we do nothing, your favorite season could become miserable, oppressive. You might not want to run around in the sprinklers with your kids. I will fight for your future long days of summer. The good news is that it’s not too late. We can change our ways. We can give you a wonderful future. We can demand clean energy. We can conserve energy. And recycle. And compost. And clean up litter. And eat less meat. And use public transportation. And drive cars that pollute less. All these big and little choices make a difference. If we all do our parts to help — and if our governments do theirs — we can give you a beautiful, healthy planet in 2051. Along the way, we can teach our children how to make good choices, how to be part of the solution instead of part of the problem. You and me kid, we can save the world. We have to try. Norah Vawter is a freelance writer in Virginia. An earlier version of this piece appeared at NOVAclimate.org. Distributed by OtherWords.org. Richard Betts receives funding from the UK government department of Business, Energy and Industrial Strategy (BEIS) and Department for Environment, Food and Rural Affairs (Defra), and from the Natural Environment Research Council (NERC). He was director of the European Union-funded project HELIX (High-End cLimate Impacts and eXtremes) which supported the contribution of Tim Lenton as a co-author of the paper by Steffen et al discussed in this article.